PAYCE Consolidated Pty Limited is one of Australia's premier apartment development companies in Sydney, building new apartment buildings and commercial property estates. Off Plan apartments for sale are available for all PAYCE projects. PAYCE Consolidated Pty Limited's continued involvement in residential property investment as well as commercial property development, are vital to Sydney's efforts for Urban Renewal and Community Estate Projects. With a series of new Sydney apartment and retail developments scheduled for release in 2018, PAYCE are inviting owner occupier apartment buyers and investors alike to view the latest properties for sale off the plan in Sydney. 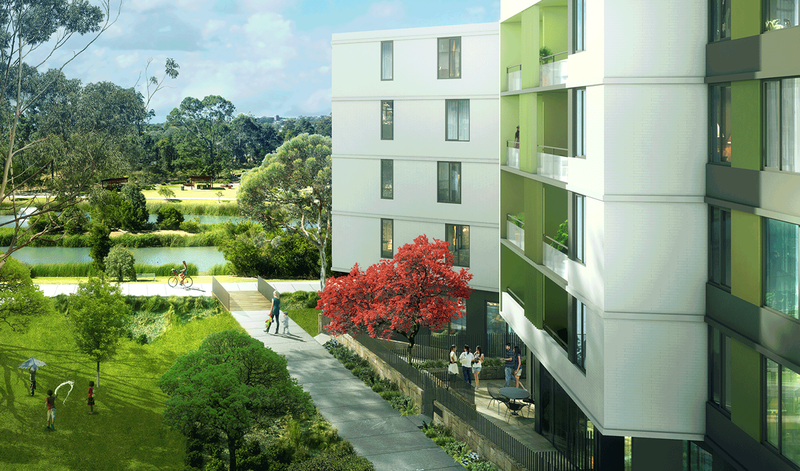 Our latest Development Project, Melrose Park, is open for Expressions of Interest now. 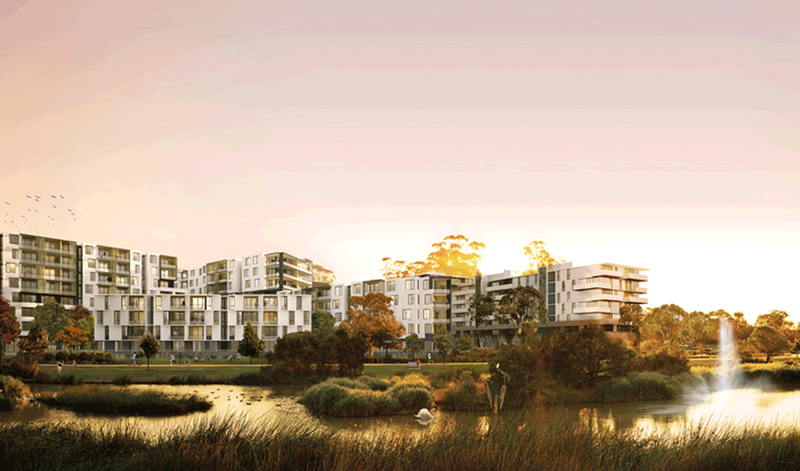 PAYCE Consolidated Pty Limited are set to deliver innovative residential apartment developments, residential properties and landmark commercial property developments through the Melrose Park development. A strong sense of community planning at the heart of every PAYCE Consolidated Pty Limited property development, including our latest flagship project Melrose Park. PAYCE Consolidated Pty Limited has been developing and creating exceptional places to live, work and play in and around Sydney - NSW since 1978. PAYCE Consolidated Pty Limited now have an impressive list of residential apartment property for sale and commercial property investment which continue to develop and build unique and cohesive communities in the urban renewal projects around Sydney. The Payce vision for the Melrose Park development in Sydney is moving ahead on schedule with off plan purchase opportunities for owner occupier and investment buyers now available through Boston Marketing. A full sales display unit is open for inspection for prospective purchasers of the Melrose Park apartments. Set to contain over 6000 new apartments, commercial precincts and recreational facilities, the Melrose Park plan and scale are immense and follow the Payce blueprint for sustainable living in Sydney. 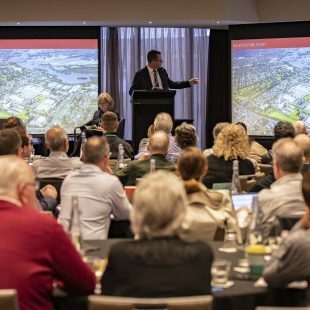 The Parramatta Council Independent Hearing and Assessment Panel positively moved to accept the Melrose Park project which came with unanimous endorsement of the Payce masterplan. The Melrose Park development from Payce is projected to create 1500 new jobs in the Sydney western suburbs and community benefits will total more than $100 million. 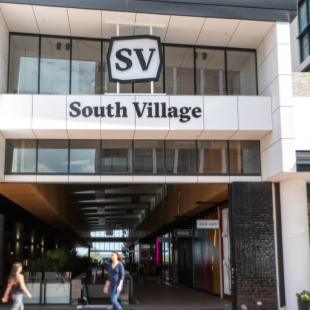 Payce director Dominic Sullivan noted "Melrose Park is a significant urban renewal opportunity for the city of Parramatta, which will deliver housing, contemporary jobs and significant public benefits for the community." 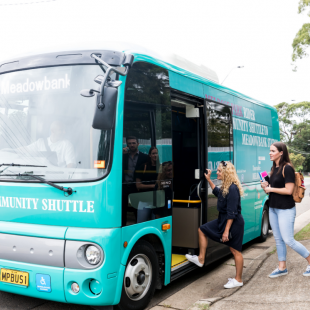 In planning the Melrose Park vision, Payce engaged some of the most creative people in Australia to develop fresh innovative ideas that would maximise the opportunities and benefit everyone in this new community. The Payce masterplan for Melrose Park includes a traditional retail centre, being integral to all Payce developments of this scale. Prime open space totalling 3.8 hectares, including a new centralised park area, is also slated for the development. The plans also feature a community oval which will be shared with the Melrose Park Public School. In true Payce style, an immense garden park and numerous pocket-parks are to be created throughout the Melrose Park precinct. The Melrose Park sales display unit is open now, offering prospective off the plan purchasers a view of the unique layout and internal fitting options. Contact Boston Marketing today for further information regarding the Melrose Park development. As builders and developers of luxury apartment complexes and considerable retail and commercial property specialists, PAYCE Consolidated Pty Limited have gained a strong reputation for innovative urban renewal, design and community planning, consisting of environmentally friendly and sustainable apartments newly designed for a lifestyle of luxury apartment living. Our services extend to off plan apartments for sale being available for every PAYCE development. One of PAYCE Consolidated Pty Limited's primary goals is to provide communities where apartment residents have access to a wide range of retail and commercial properties, amenities and services - all within easy reach of their Award winning Residential Apartments. Apartments for sale in PAYCE integrated communities are available now. Our latest development offering off plan apartments for sale is located in Penrith, NSW. PAYCE Consolidated Pty Limited are on a quest to create the perfect community incorporating Commercial property and Retail property opportunities surrounded by quality luxury residential apartment style accommodation and facilities. “Separation is old-fashioned – integration is the future,” Brian Boyd said. Building master-planned communities is about providing social spaces such as the Piazza at The Waterfront, and the Market Square and library at the Washington Park over in Riverwood North, not to mention East Village in Victoria Park. PAYCE Consolidated Pty Limited have built an entire community from the ground up at The Waterfront at Wentworth Point – The area that was not an obvious choice for investors prior to their intervention. Today it's a thriving community with more than 5,000 residents. PAYCE Consolidated Pty Limited are dedicated to building the communities that will bloom in about 10 years with high construction standards and provision for the body corporate ensures buildings and landscaping are well maintained. Commercial Renewal projects by Commercial Developers of Sydney – Brian Boyd. PAYCE Consolidated Pty Limited specialises in innovative urban design projects which encompass residential, retail and commercial components to create a truly integrated lifestyle experience and an environment that people gravitate towards. Committed to best practice, PAYCE Consolidated Pty Limited has a track record for completing apartment development and commercial property development projects significantly ahead of schedule. The land near Victoria Park – was once used for heavy industry and manufacturing, but has been transformed into a sophisticated retail, commercial and residential apartment development named East Village. “I think the projects we are involved in at Victoria Park heralds a new era in community estate planning”. “People don't want to live three hours from the city so anything in that inner ring is now highly sort after”, remarked Brian Boyd of PAYCE Consolidated Pty Limited. Victoria Park is close to Oxford Street with its fashionable boutiques, art galleries and antique shops are scattered along Dank Street. East Village supporting local luxury lifestyle apartments provides a full service supermarket, pharmacy, optometrist, a multi-level fitness centre and health club. Brian Boyd believes the outlook for the property market is positive, and noted - “there seems to be a bit of supply in the market with land values now starting to rise”. 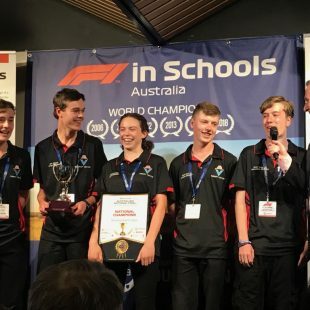 Brian Boyd is also an avid Motorsport enthusiast who is genuinely immersed in all aspects of the Australian Motor Racing industry. Brian Boyd and PAYCE Consolidated Pty Limited have been earnestly involved with Australian Motor Racing as a key sponsor since 2006. Brian Boyd offers his personal insight into every race meeting for the season across the multiple series of PAYCE sponsorship. Please join us for full Pit Lane News commentary from Brian Boyd and Team PAYCE journalist Bill Smith for every race meeting in the season. For more motorsport insights and News and updates from Brian Boyd on the PAYCE Motorsport Team - Click Here. Working alongside a trusted network of building and property development industry professional s all experts in their field, Brian Boyd says. Through the success of Sydney's urban renewal projects, PAYCE Consolidated Pty Limited developed a reputation for creating dynamic and cohesive community environments consisting of retail precincts and commercial property opportunities surrounded by high quality and innovative modern architected luxury apartment and residential unit communities. Brian Boyd said there was no better example of a redevelopment creating a new community than the Riverwood North Urban Renewal project which is well underway. The project – which is a partnership – between the NSW Land and Housing Corporation and PAYCE Consolidated Pty Limited, includes the development of social and private units to create a new, vibrant, liveable and integrated residential community. The $250 million project includes 150 social housing units and 50 private units. The old Department of Housing units were constructed in the 1960s and 1970s. It site has previously been used by the US Army during World War Two as a wartime hospital and then later as a migrant transition centre. “Similar to other housing estates of the era, the Riverwood Estate design was based on Radburnian design principles which limited site connections, created ambiguity regarding private and public spaces and led to poor social outcomes,” Brian Boyd said. “The Riverwood Social Housing Estate is an ageing facility which increasingly fails to meet the needs of its clients. Brian Boyd is aware of the importance, of the need to contribute to community, in order to live a fullfulled and happy life. This idea underlies the singular importance of people to community. 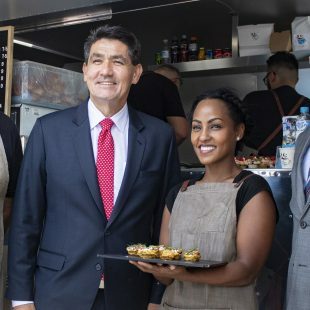 Brian Boyd believes that it is important for business interests and commercial enterprises to feed back into the community, and one of the best ways to do this - is to help those that already help. This is why Brian Boyd is instrumental in many community sponsorships, donations to charitable efforts designed to reinforce the community, as well as grass roots community initiatives that directly support health, exercise education and those who face challenge daily through disadvantage or disability. Brian Boyd believes in a healthy well integrated, cultured society that encourages understanding and supports as fully as possible programs that seek to re-educate and re-integrate those who face disadvantage, back into society. PAYCE News – Brian Boyd and Dominic Sullivan present the latest News relating to PAYCE Consolidated Pty Limited. The PAYCE legacy of community engagement continues to grow through their latest series of sponsorship activities. Managing Director Brian Boyd and General Manager Dominic Sullivan have aligned with some of Sydney`s most worthy causes to offer support through generous donations and event sponsorship. PAYCE strive to create living environments where lifestyle and community co-exist in harmony. This ethic is continued with community support across a wide range of causes, all of which resonate with Brian Boyd and Dominic Sullivan. We are proud to showcases the various community initiatives currently undertaken by PAYCE. Our News Page also highlights the high regard in which PAYCE are held within the design and building industries. PAYCE have been the recipient of many accolades over recent years, being a mark of success in all aspects of community development. Brian Boyd and PAYCE Consolidated Pty Limited are ardent contributors to community projects and continue to support people in need through active sponsorship, workshops and events. Brian Boyd is an avid Motorsport enthusiast and contributes to the sport through incentives both on and off track. Brian Boyd is adamant in his view of community investment by the business leaders of Australia to be a positive ethic for the country. Brian Boyd speaks with his actions in this regard and is active in many community projects. Dominic Sullivan, PAYCE General Manager is passionate about creating thriving communities though continued support for positive initiatives and programs. As a regular fixture at East Village, Dominic Sullivan can be seen engaging with the very community PAYCE envisioned from the planned outset of this award winning development. Dominic Sullivan is devout in his approach to community growth and well being and engages people with infectious enthusiasm on all topics. Dominic Sullivan is proud to be associated with the community groups which he and PAYCE are supporting and is a tireless advocate. Dominic Sullivan can be seen at many PAYCE community events, often switching roles to ensure all elements of the day are conducted with a true sense of enjoyment and fun. The Albany celebrates seamless village life in the heart of Crows Nest. Melrose Park is a major urban renewal project located at the gateway to Greater Parramatta and will be a brand new suburb comprising new homes, jobs, exciting retail spaces, parks and open spaces. We are Washington Park, the best new urban place Sydney has on offer, with beautifully appointed interiors and convenient parkside living we encompass true community living. Latest NewsRead More. Residential Projects Read More. Retail Projects Read More. PAYCE CommunitiesRead More. PAYCE FoundationRead More.